Have you been on a weight loss roller coaster? Are you tired of starving to lose a few pounds? Did you know that permanent weight loss involves much more than what you eat and how much you exercise? Through years of research and clinical trials, Dr. Truhlar has developed a revolutionary approach to permanent weight loss that has proven unrivalled by any other method of weight loss. The process begins with a comprehensive consultation to discover your health history, followed by recommendations for any necessary laboratory testing. A foundational component of Dr. Truhlar’s weight loss program is a Metabolic Efficiency Analysis. Through the Metabolic Efficiency Analysis, your cellular metabolism can be “mapped” in order to understand the specific weakness (or weaknesses) in your cellular chemistry. With this information, Dr. Truhlar will develop a metabolic weight loss program specifically for your bio-chemical condition that will allow you to successfully loose the weight you want to lose and feel better than you ever have. By design, you will learn the keys to losing weight and maintaining your weight for the rest of your life! Did you know that only about 5% of the U.S. population has a true food-related allergy? This means that food allergies are pretty rare. However, food-related sensitivities are undetected by allergy testing and can cause chronic health problems. The only way to establish that food-related sensitivities are at the root of your health problem is with the ALCAT Test. The ALCAT Test is a blood test that identifies reactions to over 300 foods, chemicals and other substances associated with inflammation that are linked to chronic health problems like migraines, aching joints, fatigue, gastrointestinal disorders, eczema, hyperactivity/ADD, asthma and even obesity. Changes in thoughts, emotions, behavior and lifestyle can improve health, prevent illness, and reduce symptoms of illness. More than twenty-five years of research, clinical practice, and community-based interventions in the field of behavioral medicine have shown that such changes can help people feel better physically and emotionally, improve their health, increase their self-care and health maintenance skills, increase empowerment, and improve their ability to live fulfilled lives with chronic pain and illness. Behavioral medicine interventions also can improve the effectiveness of medical care, can help to reduce over-reliance on the health care system, and can reduce many costs associated with medical care. Behavioral medicine is the interdisciplinary field concerned with psychosocial aspects of illness, health and healing. It focuses on promotion and maintenance of health and wellness through development and application of behavioral and psychosocial theories and methods, and their integration with biomedical science. The behavioral medicine approach assumes that promoting mental, emotional and spiritual well being promotes physical well being. Methods of behavioral medicine include psychotherapy (including cognitive behavioral therapy), education, meditation, relaxation training, hypnosis, biofeedback, and energy medicine. Mind-Body Medicine: the field which covers the understanding and use of non-medical therapies to harness the mind in order to activate the innate healing capacity of the body. Behavioral Health: the study and application of behavioral and psychosocial theories and methods in order to facilitate behaviors that increase health and prevention of illness and dysfunction. It involves promoting a philosophy of individual responsibility for health and overall well being. There are several areas that behavioral health can address, including smoking cessation, weight loss, exercise, medication compliance, reduction of high risk behavior, increased appropriate contact with health care providers (e.g. pregnancy checks, dental check-ups). Psychosomatic Medicine: the study of how illnesses and physical disabilities are caused and/or maintained by psychological dynamics. It includes the study psychological and emotional factors in functional/psychogenic conditions (no biological organic basis) and organic conditions. The field was founded on Freud’s psychoanalytic theory and the idea that personality traits and unconscious conflicts are associated with development of specific illnesses. Today, psychosomatic medicine has a much broader scope, although it is still burdened by popular misconceptions that it tends to dismisses people’s illnesses as being “all in their head.” There is much overlap between behavioral medicine and psychosomatic medicine. Health Psychology: all of the theory and methods associated with the discipline of psychology that are relevant to understanding the relationship between thoughts, emotions, behavior, and social context and health and illness. Health psychology addresses the roles of thoughts, emotions, behavior, and social context in health promotion and maintenance, illness prevention and treatment, as well as in understanding etiology/causes of health and illness. Health psychology is a broad field which encompasses many of the activities of psychologists who work in the area of health and behavioral medicine. There is much overlap with behavioral medicine, and some believe the two terms create an artificial separation. Behavioral medicine has applications to many areas of health, such as: adolescent health, aging, anxiety, arthritis, asthma, cancer, cardiovascular disease (heart disease, hypertension, stroke), children’s health, chronic pain, cystic fibrosis, depression, diabetes, disease-related pain, eating disorders, environmental health, headaches, HIV/AIDS, incontinence, insomnia, low back pain, minority health, myofascial pain, obesity, public health, pulmonary disease, quality of life, hospice, rehabilitation, sexually transmitted diseases, social support, sports medicine, substance abuse (alcohol, tobacco, and other drugs), women’s health. Research has documented many health effects of behavioral medicine interventions. These effects include prevention of disease onset; lowered blood pressure; lowered serum cholesterol; reduced body fat; reversed atherosclerosis; decreased pain; reduced surgical complications; decreased complications of pregnancy; enhanced immune response; increase relaxation; increase functional capacity; improve sleep; improve productivity at work and school; improve strength, endurance, and mobility; improve quality of life. The Ness L300 Foot Drop System uses mild stimulation to lift your foot to help you walk more safely and easily on flat ground, up and down stairs, as well as on uneven surfaces. This light-weight device is designed to fit just below your knee and to be put on and taken off with one hand. Use of the NESS L300 may eliminate the need to wear a rigid, heavy orthosis. 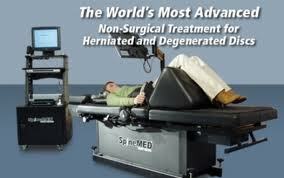 We are the first private physician practice to offer this advanced technology to the Chicagoland area! To learn more about the NESS L300 and to find out if this device is right for you, call us at (800) 916-Elan or visit www.bioness.com. This is the science of thoroughly analyzing the molecules circulating in your bloodstream and using the information to identify nutritional deficiencies and correct imbalances. This information may help identify potentially life-threatening conditions and diseases before they become problematic. Healthy people have test results that fall within fairly narrow range. Significant deviation from the optimum ranges may indicate a variety of poor health conditions. Using the advanced GaitScan™ by The Orthotic Group, we can prescribe precision custom orthotics for you that are unmatched by any other method of making orthotics. Lack of proper care, ill-fitting shoes and general foot neglect are responsible for the majority of foot problems. It’s important to understand that your feet have a direct impact on the rest of your body and support you with each step. A small abnormality in foot function can have a large impact on joints higher up in the body, causing pain and discomfort. When you are running, the pressure on your feet can be three or four times your body weight. Even walking can produce more pressure than the sum of your body weight. The American Podiatric Medical Association says that the average person takes 8,000 to 10,000 steps a day. That adds up to about 115,000 miles in a lifetime or more than four times the circumference of the globe. That is a lot of walking with ill-fitting shoes or painful feet! In some cases, foot ailments can be an early signal of more serious medical problems like arthritis or diabetes. Orthotics and proper shoe fit are very important aspects of foot health. The TOG GaitScan™ is the most technologically advanced gait analysis system available. It allows precise digital mapping of the mechanics of your foot while walking. The TOG GaitScan™ is far superior to all other methods of gait analysis available today! Are your feet contributing to your health problems? Call to schedule your comprehensive foot analysis today! Our nervous system influences how we think, feel, and act, as well as how the rest of our body functions. At Elan Wellness we believe the function of the central nervous system, including a balance of neurotransmitters, plays an essential and central role in the health of all body systems. We advocate an assess-address approach to nervous system function. This process entails laboratory assessment of the body’s chemical messengers, via urinary neurotransmitter and salivary hormone testing. Based on your laboratory results, a treatment plan can be designed to address the spectrum of neurotransmitter and hormone imbalances. In our younger days we were able to concentrate, complete tasks, and cope with day-to-day living. On the other side of the coin we were able to rest, relax, and enjoy our days. Now it seems as if everything has suffered; achievements are less because of our inability to focus, stress follows because of lack of achievements, home life is affected, relationships suffer, and to complete the circle we can no longer escape the agitation of the whole situation because relaxation and rest are miles away. Today’s multi-tasking life style and high paced society propels us into this situation. If you are experiencing any of the following there is an ANSWER! Autism, stress, low mood, mood swings, anxiousness, depression, irritability, agitation, tension, panic attacks, difficulty concentrating, focusing or remembering, sleep disturbances or difficulties, headaches, fatigue, lack of energy, weight issues, or food cravings. The ANSWER is that the body’s stress response system is dysfunctional. It is a physical problem interconnected with your emotional issues. The brain chemicals that help us to respond to stress appropriately can be in limited supply due to diet, stress, exposure to toxins, and/or genetics. The word “Orthomolecular” comes from the Greek word “ortho” which means “correct” or “right”, and “molecule” which is the simplest structure that displays the characteristics of a compound. So, literally, it means the “right molecule”. Orthomolecular medicine describes the practice of preventing and treating disease by providing the body with optimal amounts of substances which are natural to the body. This alternative therapy employs vitamins, minerals, and amino acids to create optimum nutritional content for the body, as well as the right environment and equilibrium. Like most alternative medicine techniques, orthomolecular medicine targets a wide range of conditions. Orthomolecular medicine was developed by Linus Pauling, Ph.D., winner of two Nobel prizes, in 1968. It is designed to enable individuals to reach the apex of health and the peak of their performance by utilizing only naturally occurring substances (e.g. vitamins, minerals, enzymes, trace elements, co-enzymes). The proper balance of these substances in the body is the key to reaching physical, mental, and emotional health and stability. Orthomolecular medicine can be used therapeutically to treat diseases such as hypertension, sleep disorders, cancer and AIDS; or preventatively to impede the progress of degenerative disease and aging. When all is said and done, however, the main objective of orthomolecular medicine is to help the patient reach an optimal level of health; his or her self-esteem will probably improve in the process. Biochemical individuality is the main principle of orthomolecular medicine. This principle was elucidated by Roger J. Williams, Ph.D. This principle is quite simple: every living organism is unique! Furthermore, each individual requires different relative amounts of nutrients for his or her satisfaction and optimal level of health. Several studies have proven the existence of biochemical individuality. Nutrition is the key aspect of diagnosis and treatment. Nutrient-related disorders can be cured once nutritional balance is achieved. Drug treatment is to be used sparingly. Environmental pollution and food poisoning are definite hindrances to optimum health that must be accounted for when determining the causes of illness. They must be eliminated immediately to avoid the arrival of pathogen diseases and symptoms. Blood tests are sometimes unreliable and do not necessarily reflect accurate levels of nutrients found in the various tissues of the body. Optimism, hope, and faith are valuable allies to both the physician and the patient in times of need and crisis. This is a principle that is unequivocally supported by all alternative medicine therapies. The goal in treating disease is to bring all of the natural substances of the body into balance. The only way that a physician can help a patient stave off illness and reach optimum health is for him or her to take all of the patient’s nutritional factors into account. The types and amounts of the nutrients needed are determined by blood tests, urine analysis, and other tests for nutrient levels. Orthomolecular medicine benefits children, adolescents, adults, and the elderly and is effective in the treatment of the following conditions: acne, allergies, angina, anxiety disorders, asthma, atherosclerosis, bruises, burns, candidiasis, cholesterol imbalance, chronic fatigue syndrome, colic, colitis, common cold, constipation, Crohn’s disease, chronic anemia, cystic mastitis, cystitis (bladder infections), depression, diverticulitis, eczema, endometriosis, gastrointestinal disorders, hay fever, headache, heart arrhythmia (irregular heartbeat), heart attacks, heart disease, heavy metal toxicity, hives, hyperactivity, hypertension, hypoglycemia and diabetes, Irritable Bowel Syndrome (IBS) and bowel intolerance, influenza, insect bites, macular degeneration, memory and cognition problem, mood disorders, muscle cramps, osteoarthritis, obesity and weight management, Parkinson’s disease, pellagra, psoriasis, Raynaud’s disease, rheumatoid arthritis, schizophrenia, shingles (herpes zoster), stress, and viral pneumonia. “For every drug that benefits a patient, there is a natural substance that can achieve the same effect.” (Pfeiffer’s Law) ~Carl C. Pfeiffer, M.D., Ph.D.
Saliva testing is the most convenient, and above all, the most accurate means of testing steroid hormones. Scientific studies have shown a strong correlation between steroid hormone levels in saliva and the amount of hormone in the blood that is active or “bioavailable”. It is this fraction of total hormone that is free to enter the target tissues in the brain, uterus, skin, and breasts; this information provides the only accurate measure of biologically active hormone in your body. Conventional testing of steroid hormones by drawing blood is only representative of inactive steroid hormone transport, and does not represent what is occurring in your body at the target receptors sites of the hormone. As technological advancements are made in the analysis of human steroid hormones and neurotransmitters, conventional methods are proving to be too cumbersome, ineffective and even misleading and should not be relied upon for proper management of these chemicals in our bodies. 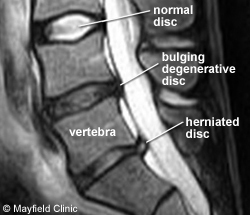 Damaged intervertebral discs seldom heal because they remain under constant pressure, even while a person is at rest. It is widely accepted that the ideal environment to improve disc pathology is to decompress, or reduce the intradiscal pressures of the damaged disc. The goal of reducing intradiscal pressure is to enhance the osmotic diffusion of fluids and nutrients across the endplates into the disc, furthering the body’s natural healing abilities. Additionally, reduction of intradiscal pressures may help draw the nucleus pulposus of a herniated disc back into the center, thereby relieving pressure on a compressed nerve root—alleviating the problem and the pain. Dr. Truhlar uses telephone consultations to help patients in almost every state as well as international patients. If you are not local to the Chicago-land area, a telephone consultation allows you to get the guidance and results you want without traveling great distances. Call TODAY to set up your telephone consultation and experience the excitement of Health! Digital Infrared Thermal Imaging (DITI) shows the subtle physiologic changes that accompany breast pathology (cancer, fibrocystic disease, lymph congestion, inflammation or vascular changes etc. ), offering the chance to become aware of worrisome physiological changes before formal diagnosis. Thermography is a test of physiology, while mammogram, ultrasound, and MRI are a test of anatomy. This means that we cannot detect masses. All women can benefit from thermal screening, especially younger women in their 30s-50s with dense breast tissue, overweight women, women with fibrocystic conditions, and women with breast implants. It is also a valuable test to see the chest wall and the lymphatic system in the axilla that mammogram misses. Breast thermography allows women to be proactive about their breast health at any age. 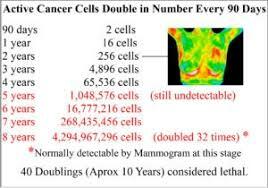 ​Thermography is NOT a replacement of mammogram but it is a valuable adjunct. Thermography, along with either mammogram/ultrasound/MRI, and self-evaluation gives a comprehensive early screening opportunity for women. Thermography is used as an adjunct to diagnosis and can show the earliest abnormalities which can prompt early intervention. It can also be used to monitor therapy progress for many conditions and injuries including but not limited to vascular disease, back injuries, stroke risk, headache, referred pain syndrome, unexplained pain, RSD, dental, TMJ, inflammatory pain, breast disease, nerve damage, digestive disorders, whiplash, disk disease, artery inflammation, arthritis and more. Thermography can be repeated as often as you like without the danger of exposed radiation. It suited for regular/annual breast screening, including post-surgery or during treatment. Are you sick and tired of being sick and tired? It will never change unless you take the first step. If you would like to hear some of our recent success stories, stop by or call us at (630) 499-9420.